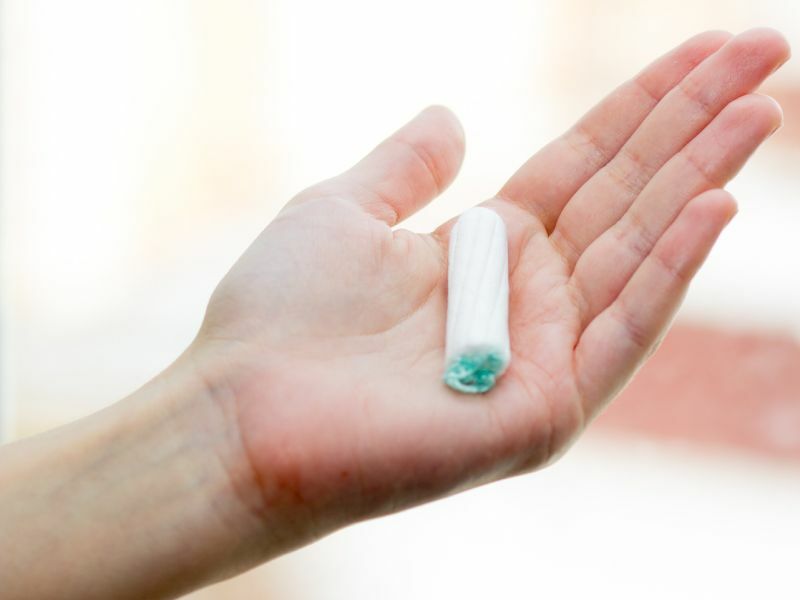 WEDNESDAY, Jan. 16, 2019 (HealthDay News) -- A study of nearly 200 poor women living in the St. Louis area found that two out of three had to go without feminine hygiene products at least once over the prior year, due to cost. About one-fifth -- 21 percent -- said this happened on a monthly basis, and nearly half said they often had to make tough choices between buying food or period-related products. The findings add fuel to demands by women's groups across the United States to ban sales taxes on feminine hygiene products. There are also calls to make such products available through programs such as the federal Women, Infants, and Children Program (WIC). "Adequate menstrual hygiene management is not a luxury," according to researchers led by Anne Sebert Kuhlmann, of Saint Louis University. "It is a basic need for all women and should be regarded as a basic women's right," the team reported. "Our failure to meet these biological needs for all women in the United States is an affront to their dignity, and barrier to their full participation in the social and economic life of our country." Kuhlmann stressed that a lack of pads or tampons can have real health consequences for poor women. The threat mounts even higher when mothers and daughters are in this situation together. "The cost of buying menstrual hygiene products for multiple women in a household accumulates quickly," noted Kuhlmann, an associate professor of behavioral science and health education at the university. She said a lack of period supplies "can add to the struggles women have in coping with the realities -- bleeding, cramps, and other symptoms -- of their menstrual cycles." There are even consequences for employment. According to the study, 36 percent of the women said they had missed days of work due to lack of adequate period hygiene. The new study involved a survey of 183 women, aged 18 to 69, who were drawn from 10 participating St. Louis community organizations that provide services to low-income people. Many of the women said they had spent decades coping with what Kuhlmann's team called "period product insecurity." Some of the women used homemade solutions to cope when they couldn't afford tampons or pads, while others admitted to stealing hygiene products. Others said they had gone to hospital emergency rooms and gotten pads meant for post-postpartum women. Two specialists in women's health said the new findings should raise alarm bells. The study "reveals shocking statistics from the wealthiest country in the world," said Dr. Mitchell Kramer, chairman of the obstetrics and gynecology department at Northwell Health's Huntington Hospital in Huntington, N.Y. "It emphasizes the importance of advocacy for change in policies related to menstrual hygiene from health care providers and their professional organizations." Dr. Adi Davidov, interim chair of the obstetrics and gynecology department at Staten Island University Hospital in New York City, agreed. "Clearly, menstrual hygiene is not a luxury and we should somehow make these products more easily available to low-income women," Davidov said. "I would support legislation to make these products easily available to such women." Already some states, including Connecticut, Florida, Illinois, Maine, Maryland, Massachusetts, Minnesota, Pennsylvania, Nevada, New Jersey, New York -- plus the District of Columbia -- have abolished taxes on feminine hygiene products. Advocacy groups in other states are pushing for similar tax changes. According to Kuhlmann's analysis, poor women are least equipped to afford such taxes. Her group calculated that if a woman buys a 36-count pack of overnight Maxi Pads with Wings for $9.27, she would pay between $0.71 and $1.08 per pack in sales tax. "This may not seem like a lot," Kuhlmann said in a university news release, "but for someone who may be struggling to earn enough money for basic necessities, an extra pack of liners every year would be tremendously helpful. Furthermore, this is a financial burden that only affects women with periods." Women's groups have also long advocated that period-related products be included under programs such as WIC or the Supplemental Nutrition Assistance Program (SNAP), both of which are aimed at helping low-income women. And what about sourcing tampons and pads from local charities? Kuhlmann's team investigated that approach, too, surveying 18 St. Louis nonprofits about what products were routinely available to their clients. Only 13 supplied women with feminine hygiene products, and nine of those organizations said they were only "intermittently" available. "It's easier to get diapers than period products in St. Louis," Kuhlmann concluded. So, "women buy disposable products when they can, but are often forced to rely on donations and/or to create make-shift pads and tampons for themselves, mostly out of toilet paper, tissue or paper towels, but also out of their kids' diapers, old socks, ripped T-shirts or rags." And for many poor moms, kids' needs come first. "They will purchase diapers first and then get menstrual hygiene products for themselves if money remains," Kuhlmann said. Davidov pointed out that all of this "poses a public health problem on both health and social levels," and it is "especially important for young women and girls who are in their formative years." Kuhlmann believes more must be done to broaden women's access to menstrual hygiene supplies. "This must change," her team wrote. "We urge women's health care providers and their professional organizations to advocate for such policy changes." The new study was published in the February issue of Obstetrics & Gynecology.